Boy do we love our Hamamori. This is one of the first sushi restaurants we take friends whenever sushi is on the date night list. 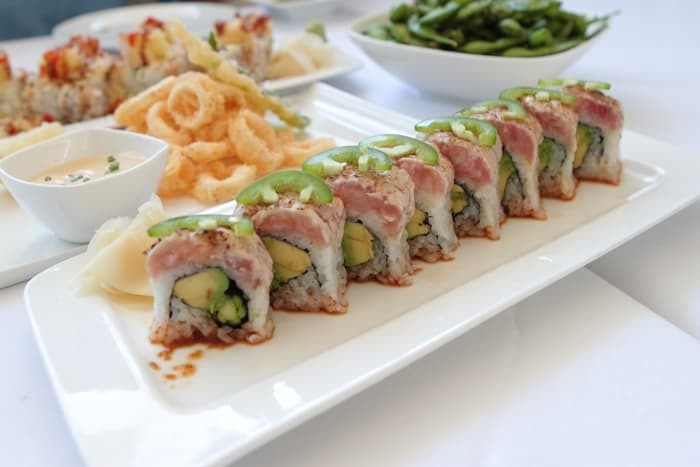 Being from Arizona, not many of our family members enjoy sushi–so this is a place we go to with our California friends, oh and perhaps one or two of our “Hollywood” family members. Before we moved to California, sushi was never on the menu. I (Cullen) actually enjoyed teasing my friends when a sushi discussion came up. I would call them “Hollywood”, because to me eating sushi was all about the Hollywood scene. It was all in fun and even though I love sushi now, I do still like to tease that sushi is all about the Hollywood scene. Well in 2010, I went to a sushi restaurant with Jenny and some friends who were determined to get me to like sushi. Are you not surprised that it worked? I enjoyed simple sushi dishes that night and continue to enjoy to this day. 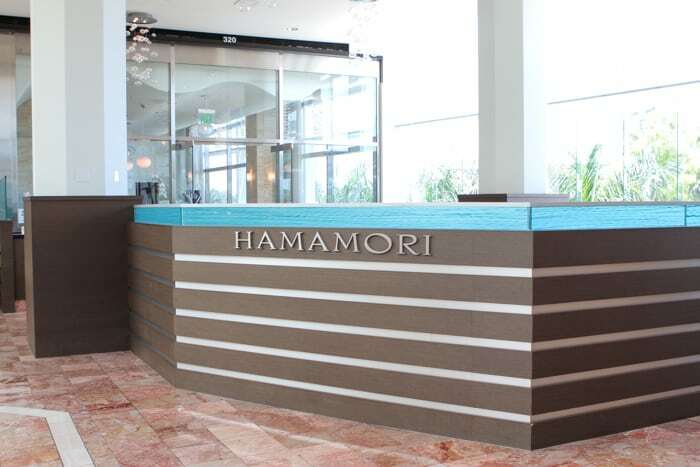 You can expect a light and bright atmosphere at Hamamori. 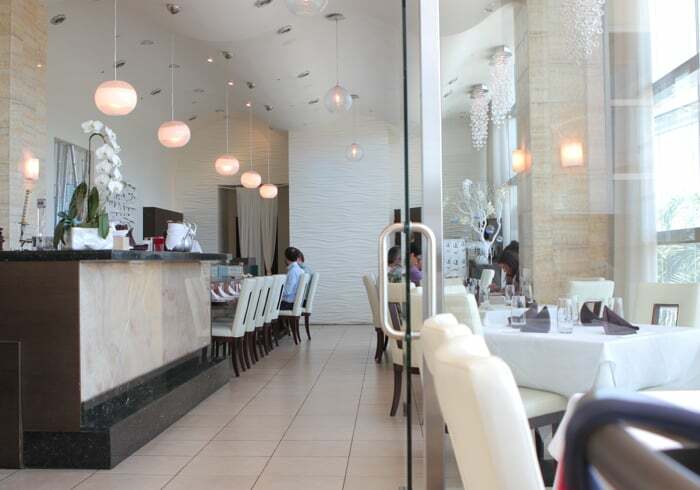 Their location is at the ultra posh South Coast Plaza. 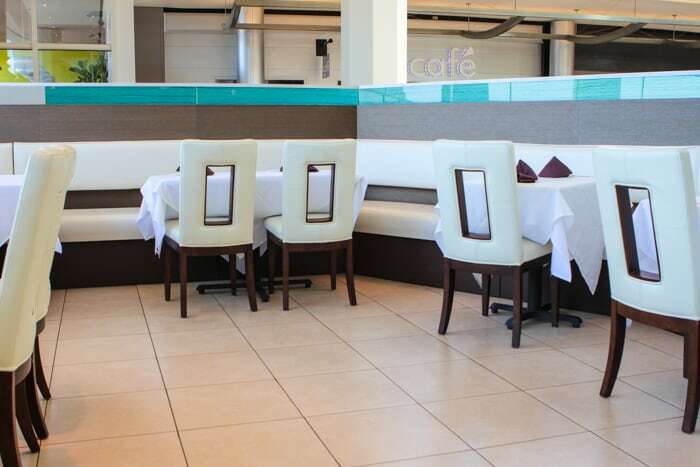 They are across the bridge on Bear St. One side of the restaurant is lined with large windows so there is a happy light feel to the place in the day. Jenny likes it because the natural lighting is perfect for taking photos. 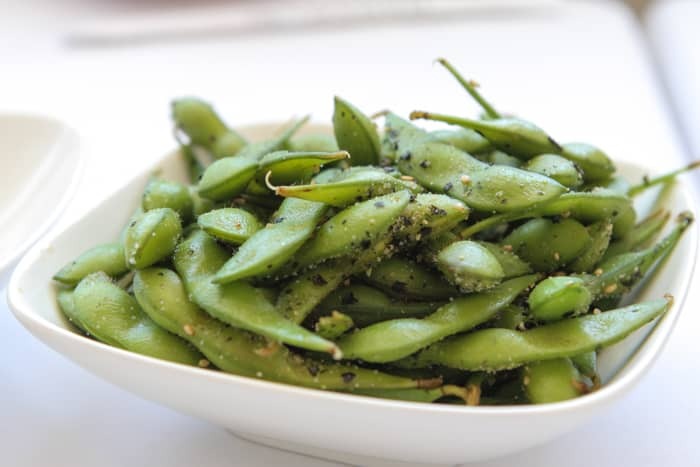 We love their Edamame. They cook these protein packed beans in a little teriyaki, sprinkled with sesame, salt, and seaweed. 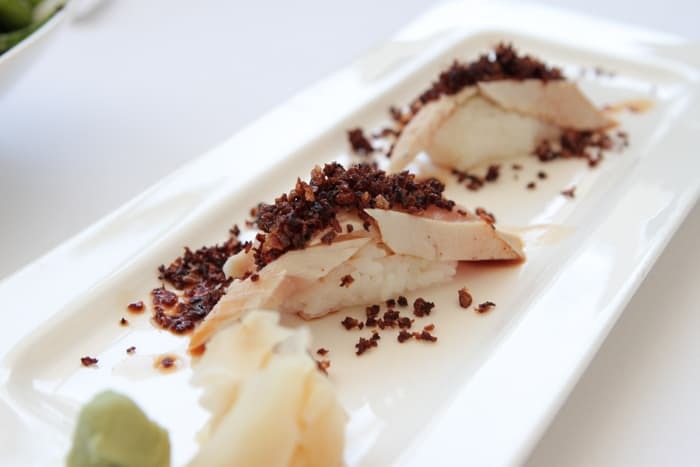 This is their albacore with crispy maui onion and ponzu, which is a sweet soy sauce. Cullen’s palate thought it was decent, while Jenny loves it. You can also get sashimi style which eliminates searing the albacore. This Hirame hand roll is one of our favorites. 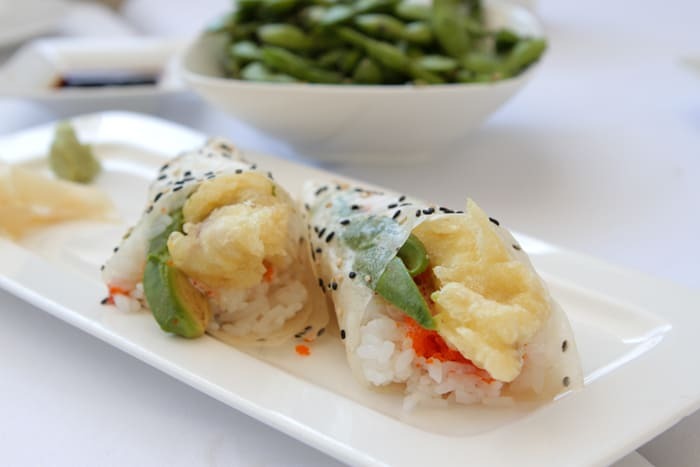 This halibut tempura is wrapped in soy paper and has a little kick to it. Just enough kick to be just right. 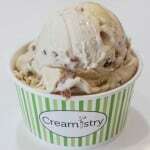 This is an off-menu item so if this interests you–ask for it. 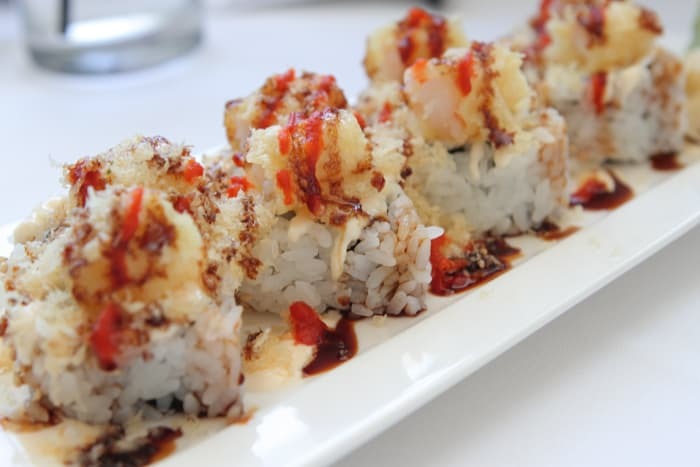 We really enjoy this roll. It’s a shrimp tempura sitting on top with crab and avocado inside. It’s one of those rolls you can pass on dipping in soy sauce. 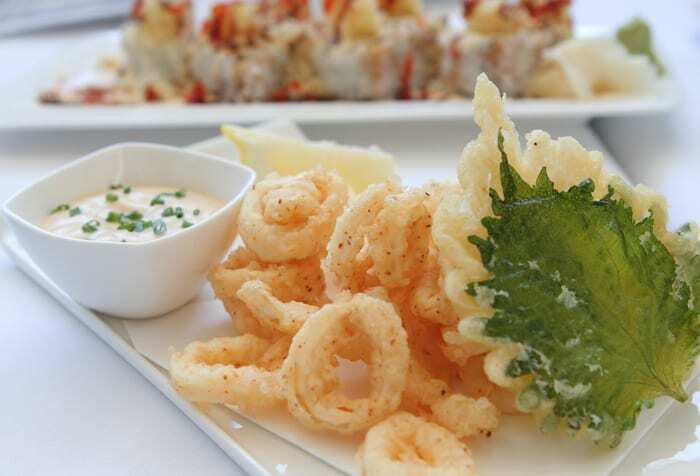 This calamari is a must order. The lemon dipping sauce is to die for. Another off-menu item is the Social. I’m flat out a baby when it comes to spice, however I was able to include the small sliced jalapeño in my bites. This dish contains seared yellowtail with avocado and asparagus inside. Conclusion: This is our go-to sushi place. We’re thrilled that we’ve never felt like the food isn’t fresh here. You’re really a good webmaster. The website filling acceleration is astounding. Them kind of believes you are undertaking any distinctive key. Also, A subject matter are usually masterwork. you must have done a great task on this issue! Awesome! Its really awesome piece of writing, I have got much clear idea on the topic of from this paragraph.